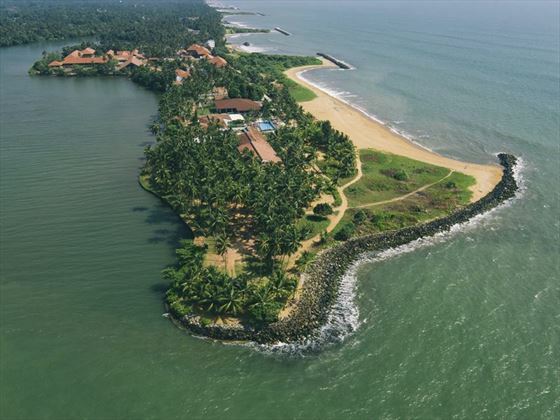 AVANI Kalutara Resort a breathtaking tranquil and unique location where waters meet. Exchange your vows in a romantic setting overlooking the lagoon. 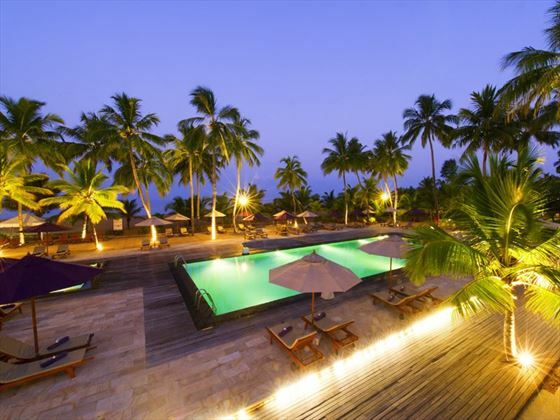 If you are looking to tie the knot in a tropical location, perhaps on a beach with the sparkling waters of the Indian Ocean as a back drop, then AVANI Kalutara will fit the bill. Situated with direct access onto the hotel’s own secluded beach this really is a great location and the idyllic place to start your romantic journey or to celebrate your wedding in the company of family and friends. Choose to have the wedding ceremony in either the hotels gardens or on the beach. 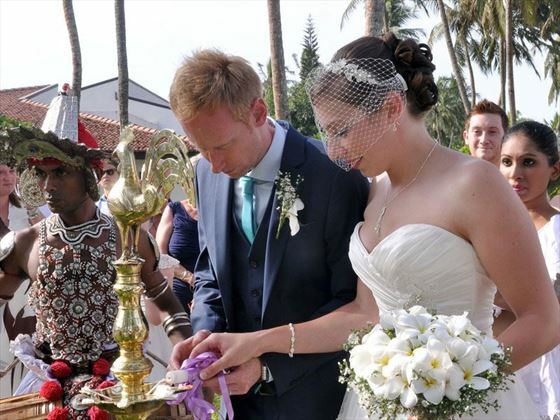 Couples dreaming of a wedding in paradise will find a dream wedding destination wih Sri Lanka. 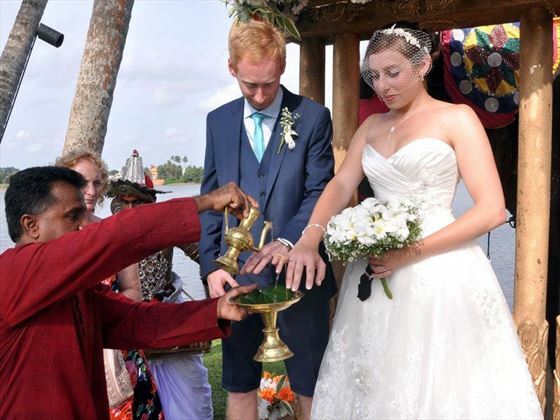 The AVANI Kalutara embodies the richness of Sri Lanka - the tropical island paradise - and our experienced wedding planners weave this ethos into every aspect of your wedding. 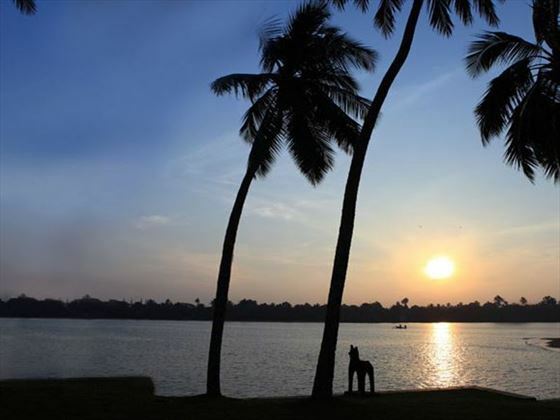 We’ve partnered with our friends at the AVANI Kalutara to make your day, extra special. Why not indulge yourselves by booking a Superior Lagoon View for 14 nights with any wedding package and receive a guaranteed room upgrade to a Superior Sea View. This exclusive offer is available year round and only available with Tropical Sky. What makes your special day perfect? Inviting your family and friends to stay at the same hotel as you turns a wedding abroad into a tropical event that you’ll never forget. 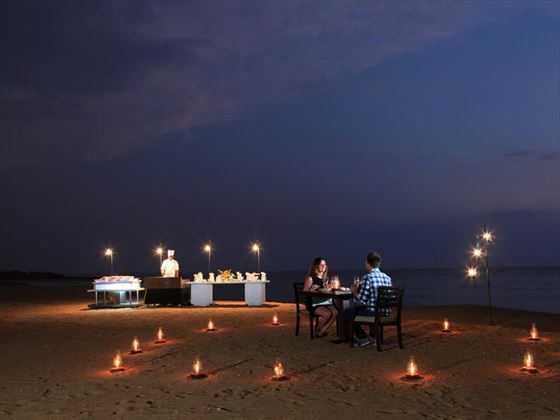 We’ve partnered with our friends at the AVANI Kalutara to make your day, extra special. Book a minimum of 10 rooms (including the bride and groom’s room) and receive a free upgrade to the next category for the bride and groom’s room for the entire duration of stay, a 40% discount on the wedding package and a 50% discount on the bride and groom’s room for the full duration of stay on basis booked. Book a minimum of 7 rooms for 7 nights ( including bride & groom’s room) during 1st May -31st October and receive the Classic Wedding Package free of charge.